It's been many months since Rafel ventured over Barl's Mountains into the unknown, in a desperate bid to seek help for their ravaged land. With his father's Weather Magic exhausted, there seemed no other hope. Now this too has died. Only Deenie believes Rafel still lives, sensing her brother in tortured dreams. She also knows she must try to find him, as only Rafel's talents can heal their land. The prospect terrifies Deenie, yet she sees no other choice. Deenie soon learns of a dangerous power. She comes to suspect that not only is her brother involved, but that the evil their father destroyed is somehow reborn. 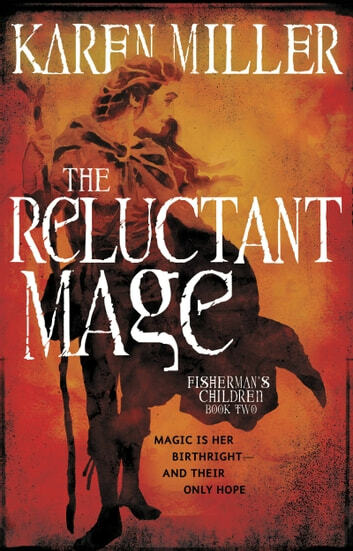 The Reluctant Mage is the sequel to The Prodigal Mage, and continues one of the most popular fantasy series of recent years. You should read this series! This series was fantastically written! The individual voices of the characters, of the different classes and races of people, truly made the story. 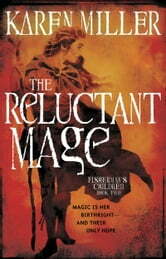 The plot was well thought out, complex and original, and the changing perspective kept me constantly turning the pages. There were hilarious, terrifying and heartbreaking moments, a lot of surprises, good and bad, and some absolutely beautiful writing tying it all together. Karen Miller really outdid herself with the four books in this set (kingmaker, kingbreaker followed by fisherman's children) and it'll be a while before I'm able to leave the kingdom of Lur behind.